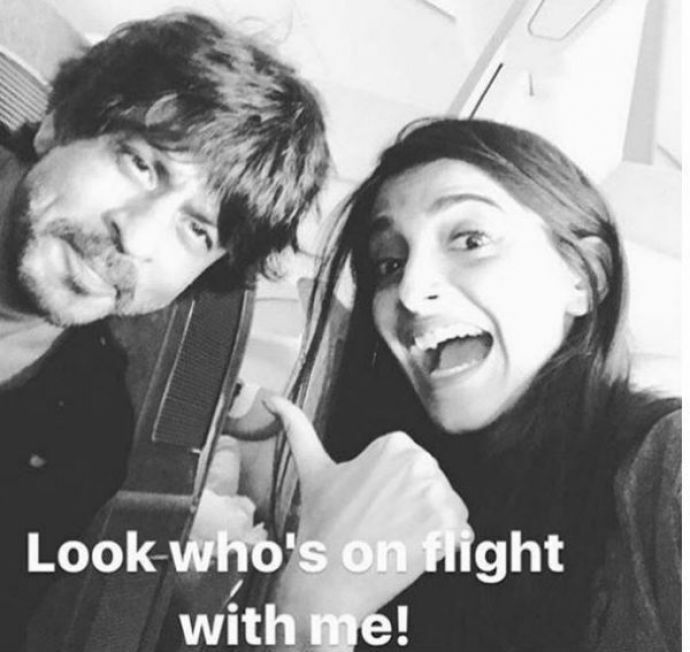 Sonam took to Instagram to share her fangirl moment after sharing a flight with SRK. They reportedly share the screen in an upcoming Anand L Rai movie. Sonam took to Instagram to share her moment and her expressions show how excited and happy she was. Well, a few moments do deserve more than a straight face (damn you stardom)! Also, if rumours are to be believed these two might soon share the frame for a film wherein SRK might play a dwarf and the movie will apparently be an Anand L Rai creation.